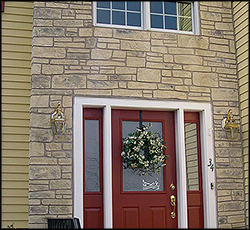 With over 30 years of experience installing brickface, stoneface and stucco veneers throughout New England, the dedicated team at New England Brickface understands that quality materials, skilled craftsmanship and competitive pricing form the foundation of a great project. 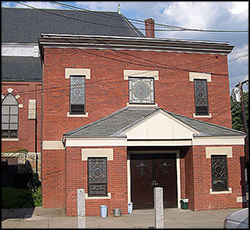 Our premium brickface, stoneface and stucco veneers can be found in thousands of homes and businesses throughout New England. 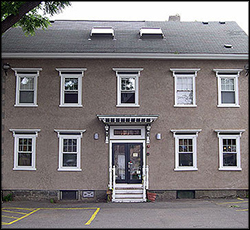 Our three decades working on a wide range of projects both large and small helps make New England Brickface different. Knowing all aspects of construction, our stucco contractors bring all their years of experience to every project — giving you the piece of mind that we can handle any type of project. People know and recognize our name as the premier brickface, stoneface and stucco installers whose products stand up to the harshest New England weather. Quality Products. We use a premium three-coat stucco system. Many companies only use a two-coat system. This additional coat gives our exterior veneers the same durability as concrete! All of our products are backed by a 40-year proven track record to stand up to the harsh New England climate. Craftmanship. Skilled Craftsmanship. Our experience has made us one of top stucco contractors in New England with the trusted and recognized name in being able to provide you multiple finishes on new, remodel, and complex projects. Accurate Estimating. We understand that providing competitive pricing is important. With decades of experience we truly understand all the little details. Leverage our experience to make sure you come in on time and under budget. Product Knowledge. We understand all the little details that go into every stucco project and can offer expert insight and work with you to find your best options. For more information about New England Brickface, please contact us here or call us directly at 508.400.1241.